Loaded a double-star job into the BGO queue for the bright Moon phase. Aimed at GSC 05878 0248 and the robot imaged 16 Eridani also known as τ4 (tau) Eri. Neat system with 6 stars. B is not visible, lost in the glare of the brilliant primary. Doable at 6 seconds of arc. Looks like I'd need to shoot much faster, a half second perhaps, to split them. The C companion is to the south-east or down and left of the main star. It is the brightest of all the members. D, E, and F are on the west running from north to south. D and E are equally bright. 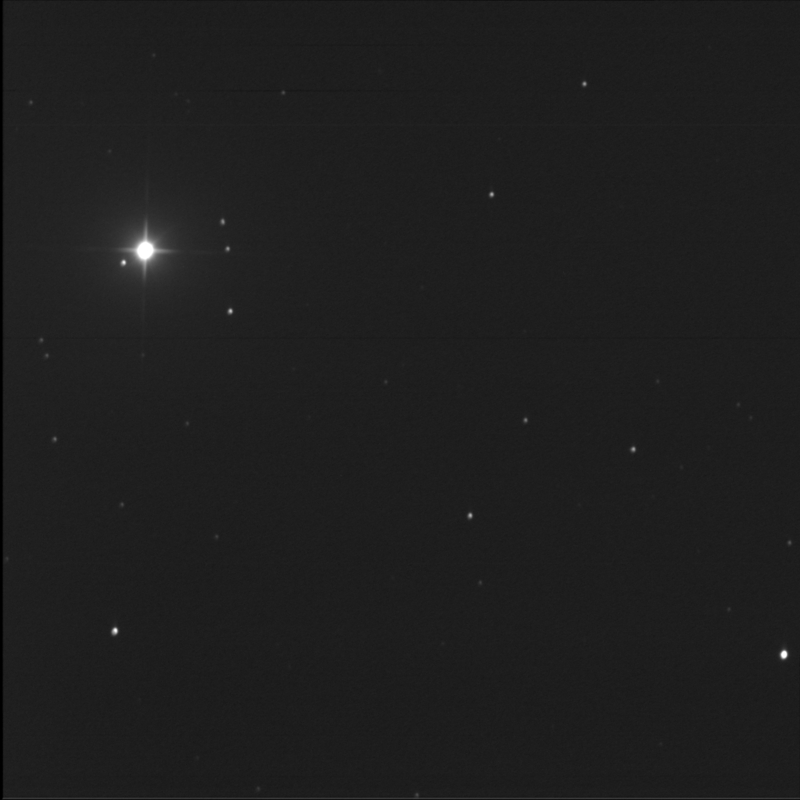 F is brighter than D and E but less so that C.
This is an old multi-star system. Well, old in terms of human observations. Reports date back to 1887.